Duo Press may lead the pack in the amount of NYC-themed books they publish, making them officially near and dear to my heart. 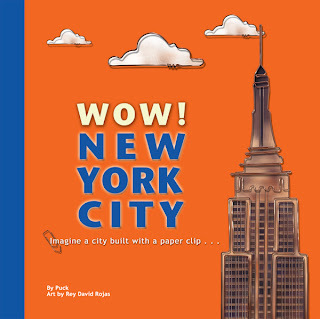 In their own words, Duo shares with the world "innovative books for curious children," and the phrase couldn't be truer of their Big Apple selections. The following books are all by the author Puck, who I must admit I'm quite curious about since I can't seem to find a photo of him anywhere! 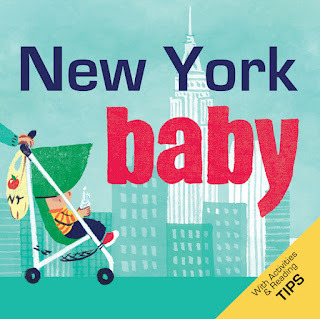 New York Baby, with colorful illustrations by Violet Lemay, is just adorable. 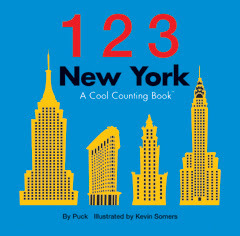 This board book describes the best of NYC with a few ABCs added in for good measure. "F" for "Fugettaboutit"? Um, that's awesome. I also love the shout out to the 4 seasons, a fact which I'm pretty sure we all take for granted. If I do say so myself, this makes a great shower gift for a NYC bebe. Next up, their 1,2,3 books for Brooklyn and NYC. Total cuteness. 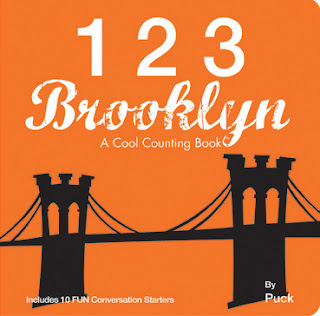 Obviously I'm not giving away the plot here, but any New York City parent is going to love that one of the number descriptions for 1,2,3 Brooklyn will have you counting water towers. In Manhattan? Taxis and bagels, of course. The creative vision doesn't stop there -- I love Wow! 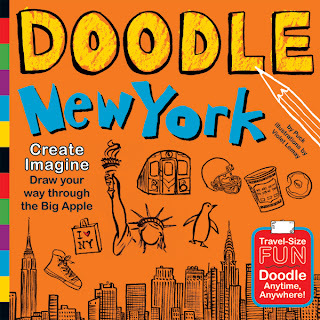 New York City and Doodle New York for the big kid set. The first artfully creates NYC landmarks out of paper clips (paper clips!) and will be as much of a hit with parents as it is with kids. At the end of the book, landmarks are described in more detail. With Doodle New York, Lemay's whimsical illustrations are back again. Kids are invited to express their artistic side by "drawing their way through New York." Drawings are begun and your child does the rest. Didn't you have books like that about Wadmalaw? You know, counting goats and shrimp boats and P is for pluff mud? Maybe not. Oh I love these-makes me wish I was raising my baby in NYC. Actually, I wish that all the time.